Spoiled socialite Amira Forsythe is in a bit of a mess…the terms of her grandmother’s will make it so that she must marry before her thirtieth birthday, in order to inherit! 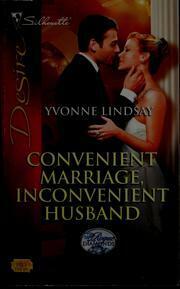 So she approaches Brent Colby, the man she left at the altar eight years ago, for a business arrangement. Brent sees this as a perfect opportunity for vengeance–she’s offering up what he needs, financially and socially, to secure his place among New Zealand’s business elite, and then she can find out what it feels like to be jilted! Things get even more interesting when she signs their prenuptial agreement without checking with her lawyer–and does he ever have bad news! She can’t marry Brent, and inherit; Grandmother just did not like him at all. But she can have a baby…that’d do. Things get even more complex, when Brent has her investigated to figure out why she’s so heated up about getting her fingers on all that money–she’s actually started a foundation that helps terminally-ill kids, against her grandmother’s wishes! But the money just hasn’t been there, and the foundation is in deep trouble. To pour salt in her wounds, Brent makes a huge anonymous donation–on the condition that she step down and leave the foundation at once…which she does, brokenhearted. But, see, after telling his lawyers to do that, he realizes something; he’s really fallen back in love with her, and has started to realize just how badly-manipulated she was by her wicked grandmother. The final confrontation, when all this gets out on the table, is intense–and Brent and Amira decide not to let Grandmother win. Life, you see, is not about money, or greed, or position, or power, or fame–it’s about love. Convenient Marriage, Inconvenient Husband is a nicely-crafted tale. Memorable? Only in its’ surprise ending, perhaps. Typical for Silhouette’s Desire line, the intimate scenes are explicit and hot, though it took a while to get there, in this instance. The buildup to Brent and Amira’s first sexual encounter is incredibly believable; Amira clearly sees herself between a rock and a hard place, and feels like she’s doing what she must–then discovers that she enjoys it, and that her feelings for Brent never really faded. But this story, for me, just did not stick out as “awesome.” The Must Marry To Inherit trope just seems a bit contrived to me, though it can make for some great stories, and in this case, one of the lead twists in the plot is that the solicitor had not told Amira everything that was in her grandmother’s will up front, to avoid upsetting her, and that caused more issues for her. Also, not being a vengeful person, the theme of revenge that Brent exhibits early on–and later relents of–just is not something that I can identify with very well. If these tropes are ones that you like, though, you’ll find that Lindsay has crafted a tidy tale here; it’s a good read!